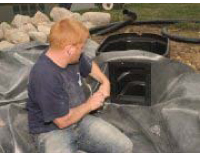 Certified Aquascape Contractors are the most qualified and informed pond installers in the water gardening industry. All CACs are required to attend continual training and education seminars and maintain a proven record of outstanding work and dedicated customer service and support. 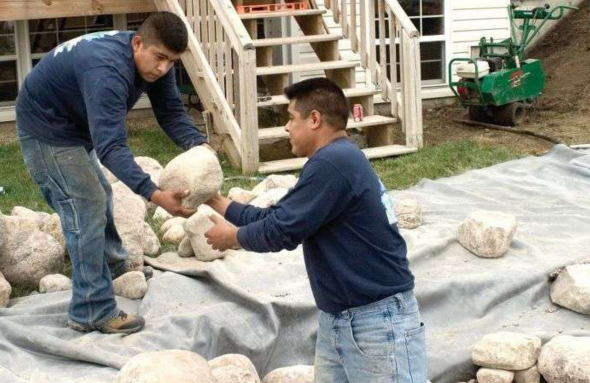 You can count on your CAC to provide professional, dependable service to install a beautiful water feature that brings hours of enjoyment for you and your family. 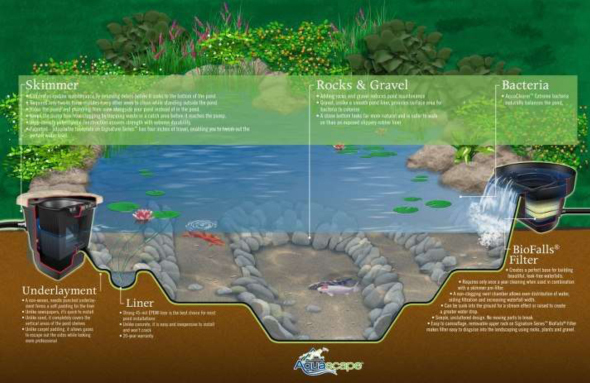 Contact your local Certified Aquascape Contractor about your next water feature project. Visit our website to locate one in your area today. 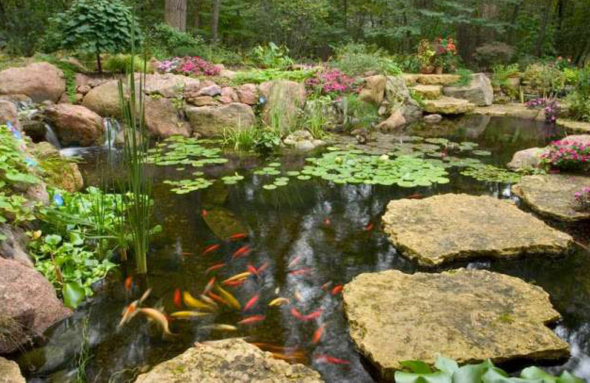 Certified Aquascape Contractors at Domina's Agway in Portsmouth, RI are professional installers of low maintenance Ponds, Water Gardens, Koi Ponds, Ecosystem Ponds, Lifestyle Ponds, Natural Ponds, Patio Ponds, Fish Ponds, & Goldfish Ponds. Aquascape Ecosystems installed by Domina's Agway can be easy to understand if you have a good grasp of what components go into a basic, functioning ecosystem.If you are considering an ecosystem pond for your yard, you can trust in a Certified Aquascape Contractor at Domina's Agway in Portsmouth, RI to get done right the first time. 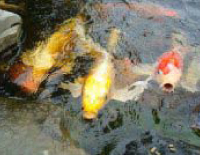 Looking for a Certified Aquascape Contractor, Pond Contractor, Pond Installations, Ecosystem Pond, Ponds, Koi Pond, Water Gardens, or patio pond? Domina's Agway in Portsmouth, RI can help! It's moments like this next to your pond, that you never think of before you had a pond, now you live for them! 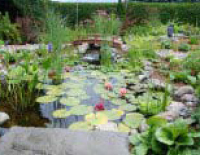 Having all these things in place makes all the difference in the health and success of your water garden. Use them and work with Mother Nature, not against her, for a chemical-free wonderland of water! The truth is that most people opt for the ecosystem way of water gardening because it's easier and it just makes sense. A low-maintenance ecosystem pond provides you with more free time to enjoy friends and family â€¦ while gathered around your pond, of course! If you don't want the hassle of doing it yourself, and want it professionally installed, contact Domina's Agway in Portsmouth, RI! 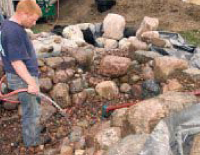 Certified Aquascape Contractors are capable of building some of the world's most beautiful backyards! These backyards are absolutely gorgeous, and encompass a fourth dimension at night when they come alive with led pond lighting, so if you're considering an ecosystem pond....don't forget to ask about the lights! 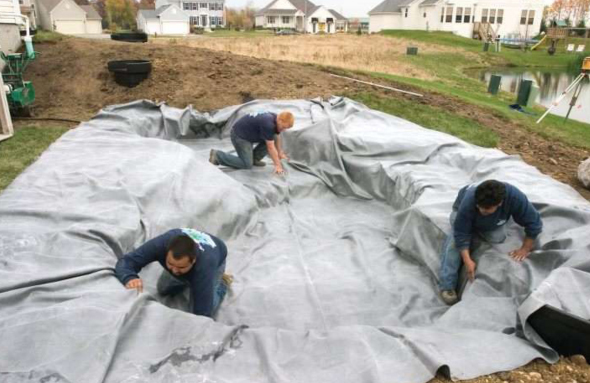 Maybe.... You're a contractor and you're looking to expand your knowledge of building ponds. 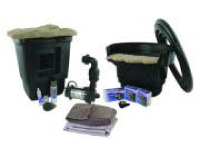 There is no greater knowledge gained then to become a certified Aquascape Contractor. Our contractor network has some of the best water feature designers and builders based primarily in the United States, & Canada, but...we even have contractors in Bermuda, Turkey, Ireland, & Australia! 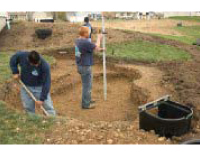 CAC (Certified Aquascape Contractor) group "Advanced Build a Pond Day", in St. Charles Illinois. Being a CAC means being dedicated to "Ponds Done Right...Customers Served Right!" 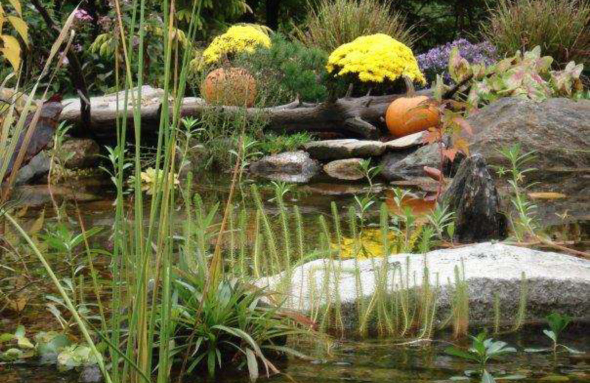 Certified Aquascape Contractors build some the most beautiful ponds and water gardens on the planet! What can we say, being a CAC ourselves at Domina's Agway...we're sort of biased! 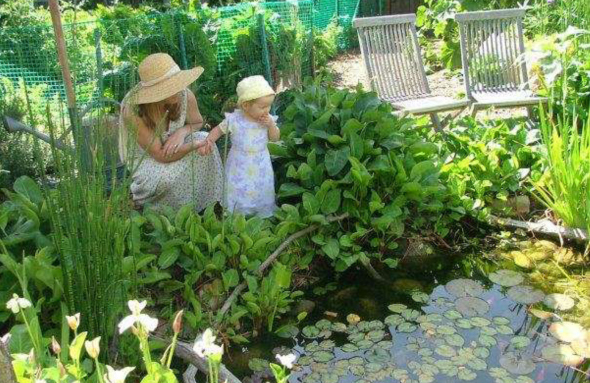 Thank You... For reading through our note on Ponds, we hope that we have peaked your interest enough to contact us at Domina's Agway in Portsmouth, RI to help you!